If you suffer from spinal stenosis you aren’t alone. Most adults over age 50 have some form of spinal stenosis, even if they do not have any symptoms. Those who do have symptoms may have mild pain to severe neurological problems, up to and including difficulty walking or grasping items. The best spinal stenosis relief plan will include palliative care to manage symptoms and active care to help correct the posture and muscle imbalances that caused it. In this article, only non-surgical stenosis is being discussed. If you have stenosis that requires surgery, please consult your physician or surgeon before implementing any exercises or home care. Stenosis, or narrowing of the spinal cord due to degeneration of the vertebrae, can have layers of symptoms. Primary symptoms would be those that you get from the narrowing of the spinal canal or the holes between the bones where the nerve roots come out. Primary symptoms may include numbness or tingling, weakness in the limbs, pain, difficulty walking or maintaining balance, or other neurological problems. Managing primary symptoms requires long term care, and the goal should be to correct the structural problems that are causing them. For example, if you have cervical spinal stenosis and have suffered from whiplash at any time, you probably have forward head carriage (that is when your head is not lined up over your shoulders as it should be but juts forward) and increased pressure on your spine. You may also have lost the curve in your neck. This is called hypolordosis (decreased neck curve) or in severe cases, kyphosis (reversed neck curve). Both conditions can be managed or reversed. Doing so may give you spinal stenosis relief naturally by addressing a primary issue. Secondary symptoms are those you get because the body is trying to protect the primary problem. Muscle spasms, inflammation, headaches, back pain, or neck pain may all be secondary symptoms. Often, the secondary symptoms cause more problems than the primary ones, especially in the beginning. Treating secondary symptoms can drop your overall pain levels considerably, even without addressing the primary issue. (I don’t recommend going that route – treating the secondary symptoms while correcting the primary problem will give you best results). As you may have guessed, medications will do almost nothing to correct either primary or secondary problems from spinal stenosis. Drugs mask symptoms or change your chemistry, both of which are useless when you have a structural issue. Finding a doctor who looks at your body’s structure and alignment and can help you correct your imbalances will give you the best chance of spinal stenosis relief, naturally. 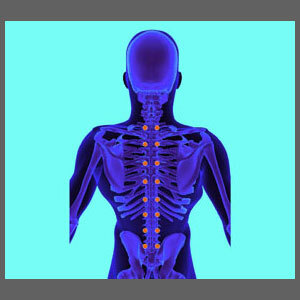 Chiropractors, osteopaths, and physiatrists are the leading specialists for this type of care. Expect any changes to the structure of your spine to take at least one year. You will be expected to do your home exercises and stretches to help the process along. It’s an active care process and it requires work on your part, but it can be very effective and keep you from having future problems.